Jesus Christ. 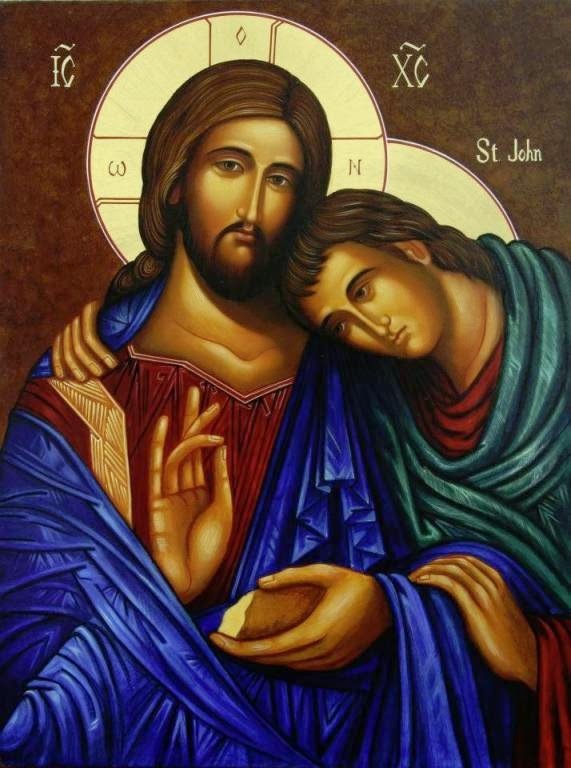 Alpha and Omega: Was the Apostle John a Levite Priest? …. Ratzinger, who basically wrote this book before he became Pope, is sharing his personal search for the "Face" of Jesus. Let me give you just one example I found intriguing. Why was John, the youngest, sitting next to Jesus at the last supper and who was this person Jesus loved? This position would be reserved for the host of the passover meal, the one providing the room and the lamb and wine, etc. So way was John there? It appears his Father Zebedee was a priest, and might have known (been related) to the priest father of John the Baptist. Priests often had a "second" occupation when not officiating (such as a fishing syndicate. Anyways, it was he, Zebedee, who arranged for the last supper. But since he was not there his son would stand in for him and take the position of host which would be next to Jesus in this case. And it goes on from there. I just found his ideas very interesting.